I couldn't help but notice just how much of my makeup bag lately consists of Lancôme makeup (and skincare products - but more on that later). I am blaming the invasion on the brand's latest releases being so user friendly, quick, and effective. Here, I'm rounding up some of my most used products of late, and what I use them for. 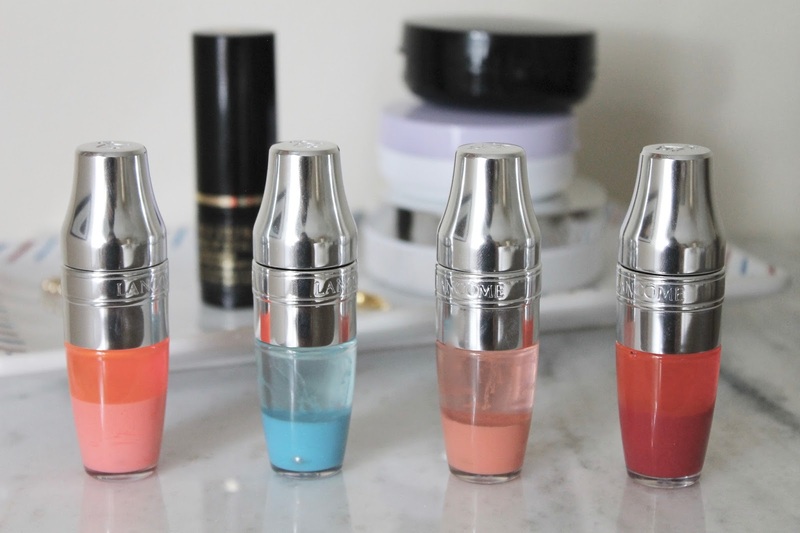 Lancôme Juicy Shaker Pigment Infused Bi-Phased Lip Oil - I'm sure you've heard about this product by now (I dedicated a post to these when they first launched), but I'm not over my love for them just yet. The bouncy applicator applies a sheer and hydrating wash of color in the most comfortable manner ever, and I love how each shade has a unique scent. My current favorite neutral shade is Show Me the Honey, but they all somehow manage to perfect the pout with just a swipe. Lancôme Teint Idole Ultra Longwear Foundation Stick - If you read my recent travel makeup edit, you'll be familiar with my newfound love for stick foundation. Of course, all formulas are not created equal, and this one happens to be my favorite so far. It gives a soft matte finish that meshes well with the natural oils in my skin, and never looks cakey or dull. I love that this can be applied on the go and even sans brush. Talk about the easiest way to get coverage...ever. 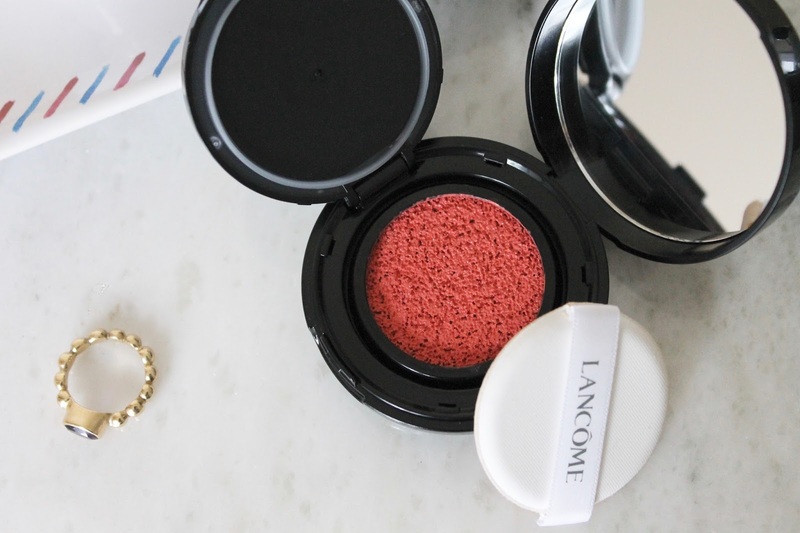 Lancôme Cushion Blush Subtil - If you're familiar with the cushion foundation, then look no further than this product to find your new favorite natural flush. The color is applied easily and gives a sheer wash of color and fresh effect to the cheeks not far off from watercolors. 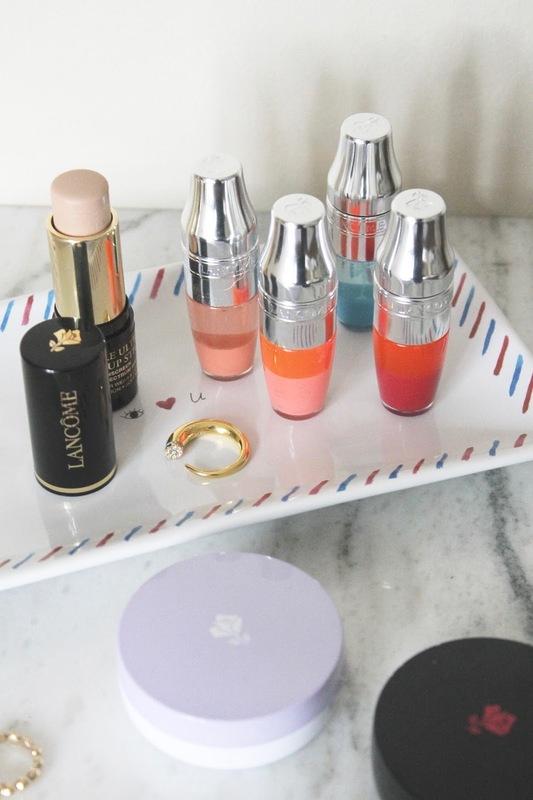 Lancôme Miracle CC Cushion - This color correcting primer cushion is the first of its kind that I've ever tried. This lightweight lavender color corrector is both brightening and moisturizing and leaves the skin perfectly prepped for flawless and natural makeup application. I love how well it sinks into skin when tapped in with the included sponge applicator, and how easy this product makes it to target specific skin discoloration concerns without adding extra heavy layers of product.